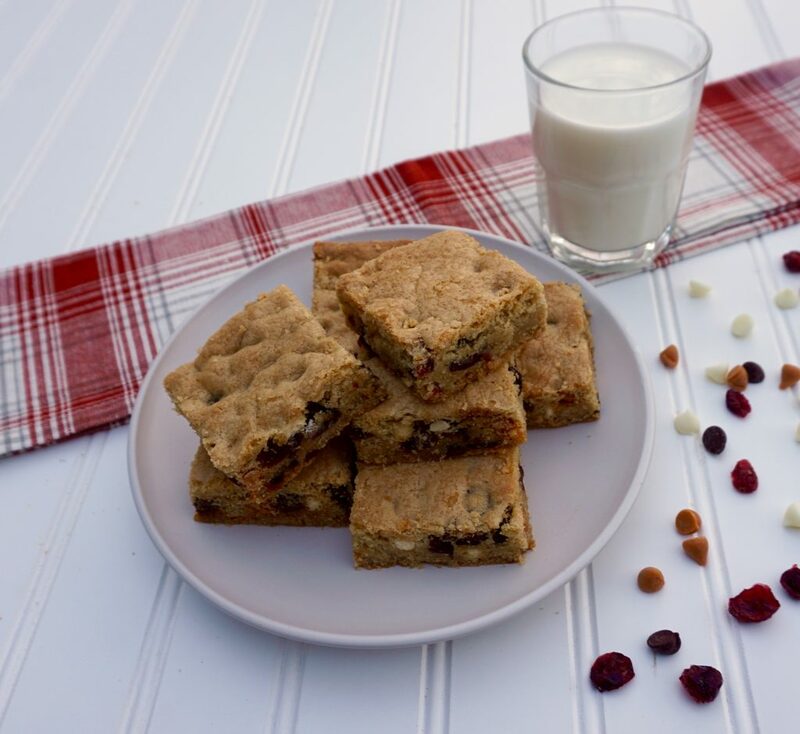 Kitchen Sink Blondies are my answer to coping with the holiday crush. 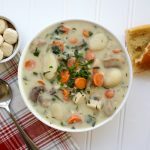 We have just baked ourselves silly over Thanksgiving and here we are heading into December! We will need baked goods for so many different gatherings this month, and at the same time we are trying to accomplish a million other things! 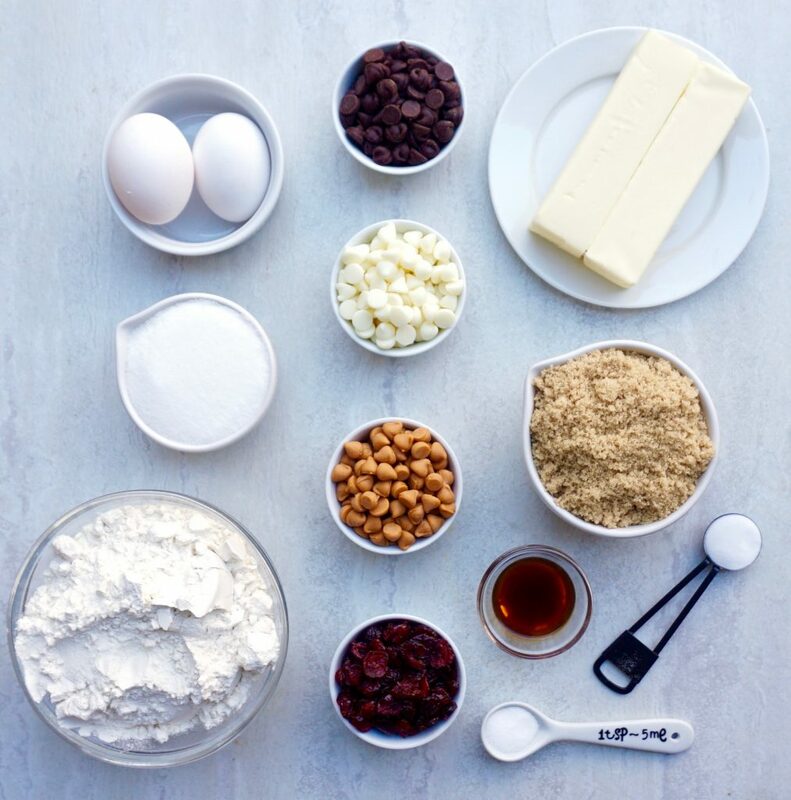 Bar cookies are an easy way to bake for a crowd fast. Unlike cookies, they do not need to be cut, shaped or rolled into balls. The batter is spread into a pan, bakes all at once, and is then cut into squares. There are times when you need something nice without a lot of effort. 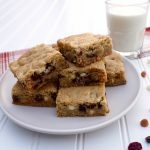 These Kitchen Sink Blondies are filled with chocolate chips, butterscotch chips, white chocolate chips and dried cranberries. They are pretty and seasonal and will make a nice platter to bring to a holiday event. In a large bowl, beat the butter until it is fluffy. Add the brown sugar and granulated sugar. Mix well. Add the eggs, one at a time, beating well after each addition. Add the vanilla extract. Add the flour, baking soda and salt. Mix in thoroughly. 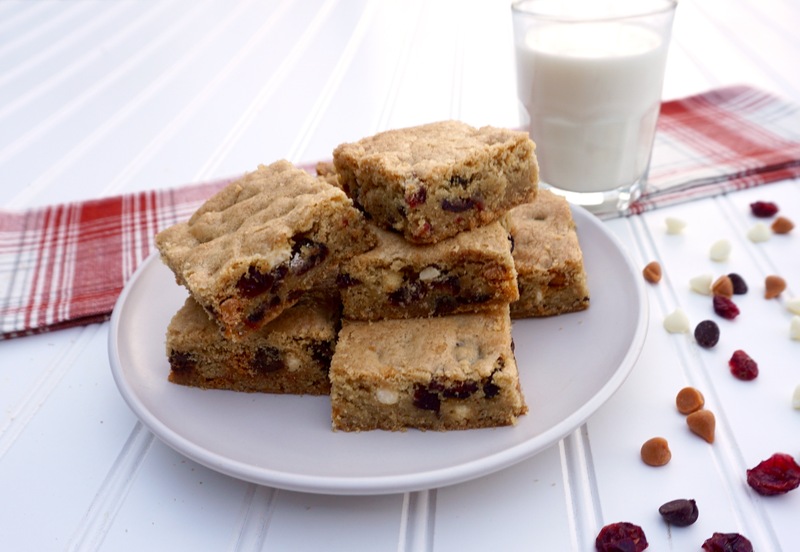 Stir in the chocolate chips, butterscotch chips, white chocolate chips and dried cranberries. Spoon into the 9 x 13 baking pan and smooth evenly with a rubber spatula. Bake for 25 minutes until completely set and lightly browned. 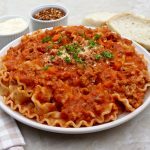 Servings will depend on the size you cut your bars.